Next up in the fall political schedule for the federal government: a new omnibus bill put forward by the Conservatives. An omnibus bill is one which includes a number of different issues within it and tends to act as a method by which unpopular legislation is passed along with the bulk of the good. The bill, which primarily contains budget policy, is set to touch other sectors not traditionally found in budget bills including new crime legislation, the most important being new police measures to combat terrorism. 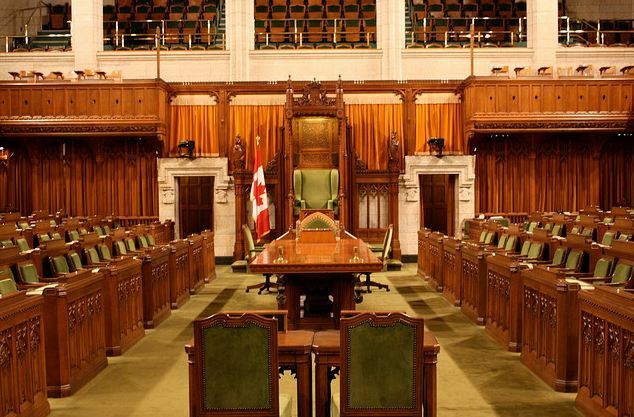 This past spring, some members of Parliament complained about the 400-page bill, which provided sweeping measures across many different disciplines, including environmental procedures, labour rights, security and pensions. The time allotted for debate on this colossal juggernaut: seven days. This repeated move has once again bothered Canadians on all sides of the political spectrum for its violation of democratic principles. However, this is nothing new in Canadian politics, with even the revered Trudeau doing the same in the late ’60s. Still, the move, however common, remains a stain on the democratic process. If we elect individuals to represent a collective society in order to bring together different viewpoints and share in the common journey forward as a nation, how can we pretend to have a democratic process when those individuals aren’t concerned about such key issues. One of the simplest solutions to this omnibus problem is to split up the bills, forcing only monetary and financial policy to be dictated in the legislation. However, as many Conservative pundits have asserted, this would delay the process, as every little policy would have to be debated. What they don’t realize is that this is what is mandated in their jobs. While Harper and his administration are not well-liked, he is an exceptionally shrewd and cunning politician. By moving forward with this form of governing early on in his mandate, the collective memory will ebb and fade away much more easily. When the time comes to actually harvest the votes, Conservatives can push forward popular legislation in order to garner another majority. Plus, there is the obvious added benefit of not having Canadians looking too closely at the bills their legislators are passing. They can tell everyone that they are helping the economy, but they are also quietly pushing reforms to civil liberties like privacy. The problem keeps compounding on the myriad of issues with Canadian politics. The first-past-the-post system, which entails an election that is won by the candidate with more votes than the other, does not work in this day and age. Politicians are clinging to the old vanguard, and some Canadians are in a general disheartened state by empty promises and looming crises worldwide. In the early ’90s, then Prime Minister Jean Chrétien and his Liberal caucus pushed through an omnibus bill. There were many politicians who complained about this governance, including a little known Reform MP. He said: “In the interest of democracy I ask: How can members represent their constituents on these various areas when they are forced to vote in a block on such legislation and on such concerns? We can agree with some of the measures but oppose others. The name of that MP: Stephen Harper. World wide art : What do we lose and what do we gain?